160 pages, 18 complete patterns for photographed quilts, 160+ patterns (including yardage) for additional quilts and variations, plus suggestions for thousands more! For quilters of all skill levels. Look at the motion in Wave on Wave! 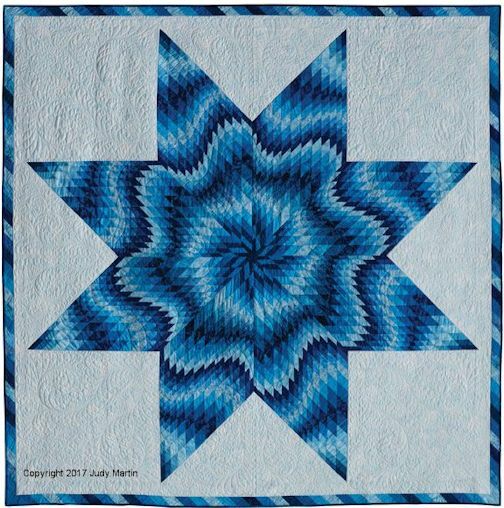 If you have always wanted to make a Lone Star, but wanted to start with a smaller quilt first, Judy has you covered. She has a full range of simpler, wall-size beauties that will satisfy your compulsion. 2 of the small, strip-pieced quilts in Singular Stars. 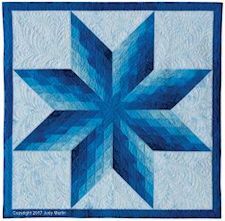 Judy Martin has found a way of thinking about Lone Stars that makes them as variable as Log Cabins. 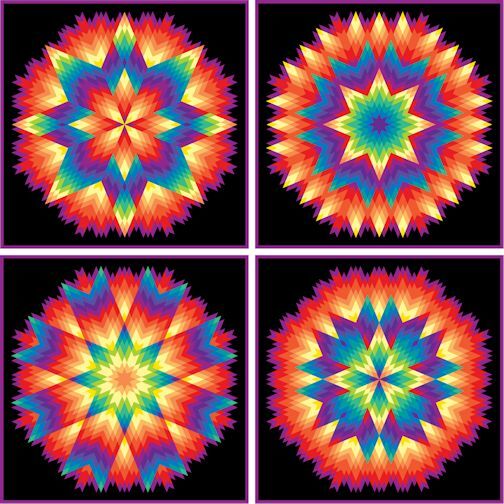 Rather than make each of the 8 star "arms" in concentric rings of color, Judy has instead made the arms asymmetrical by using parallelograms and different sized diamonds. Turning all (or half) of the arms 180 degrees completely changes the look. She further discovered that if each arm were actually made from 4 smaller asymmetrical arms, then 1 quilt pattern could take on dozens and dozens of different looks! Supernova looks like an exploding star. book shows 8 additional arrangements, though many, many more are possible! Which Lone Star do you want to make first? With so many designs screaming for your attention, which quilt will you make first? Take a look at the 18 sewn and photographed quilts. Trying to pick a favorite may be the hardest thing about Singular Stars! Experience matters when it comes to designing, making, and explaining how to make quilts. 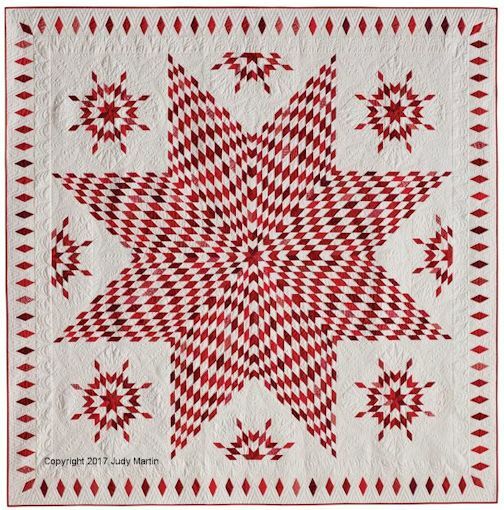 Judy Martin knows all the tricks of designing quilts that fit together because she has been doing it professionally since 1979, first as an editor for Quilter's Newsletter Magazine and Quiltmaker, and then as an author of 23 books, including some of the most influential quilt books ever written, books such as Judy Martin's Log Cabin Quilt Book, Scrap Quilts, The Block Book, and Stellar Quilts. 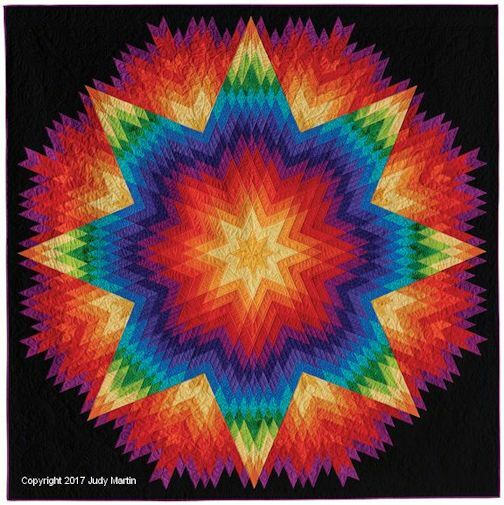 Now, with more than 1000 new and original published designs to her credit, Judy Martin is one of the most prolific quilt designers in the world. Shouldn't you get your patterns and tips from a recognized expert in the field? larger in the middle, creating a beautiful dimensional effect. This fascinating book is worth its weight in gold just for the designs, but you also set quilters up for success with your ingenious, generous instructions. Your book should have been named SPECTACULAR STARS instead of Singular Stars!! There are just not the right words to describe them – absolutely fabulous, gorgeous. I love your new book Singular Stars! The photos are fantastic. What a spectacular book. I'm at a quilt show today and buying fabrics for at least 2 of the quilts in this book. Judy you've done it again! 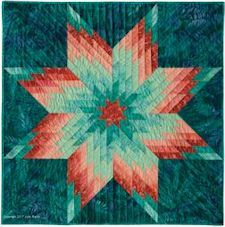 Special quilts evoke special feelings for both the recipient and the maker. 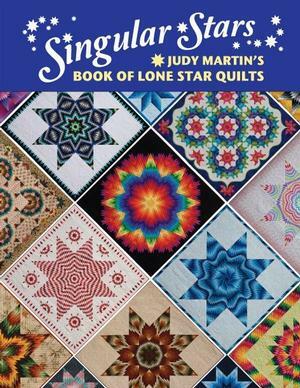 Order your copy of Singular Stars today and enjoy the singular reward of making an extraordinary heirloom quilt!